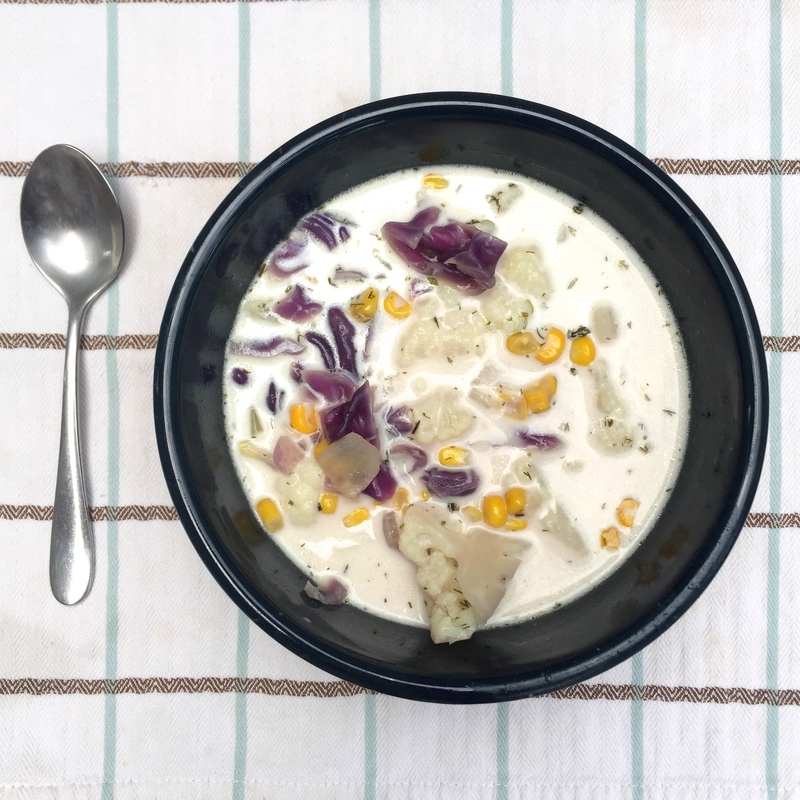 My mom found this recipe in Follow Your Heart’s Vegetarian Soup Cookbook. Throughout the years we changed and substituted different ingredients. 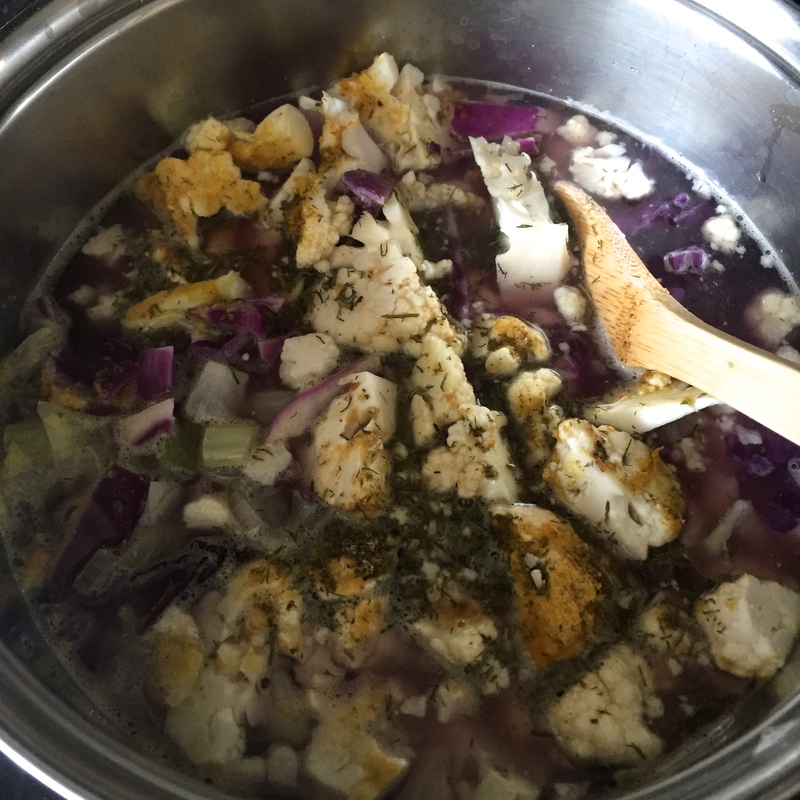 This is my dairy-free adaptation of the soup. To make the traditional dairy version use sour cream instead of coconut cream and add ½ block of cream cheese. Blend together sour cream, cream cheese, and milk. Mix into the soup. 1. 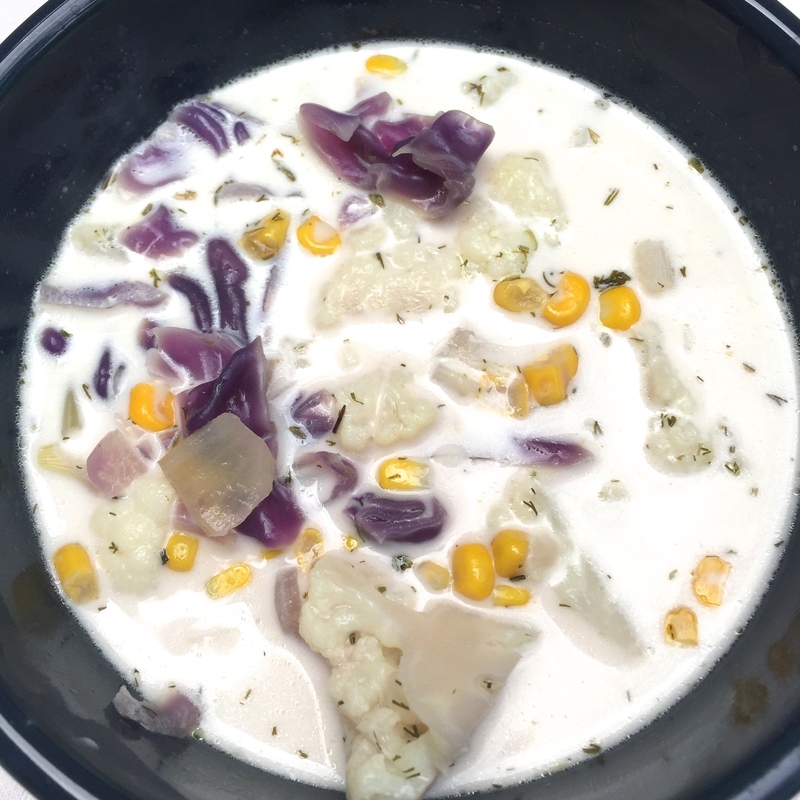 In your largest soup pot bring to a boil: water, the diced potatoes, onion, 1 cup corn, celery, cabbage, the cauliflower core, butter, and basil. Cook for 1/2 hour or until potatoes begin to dissolve. 2. Add remaining corn, potatoes, parsley, Spike, garlic, and dill weed. 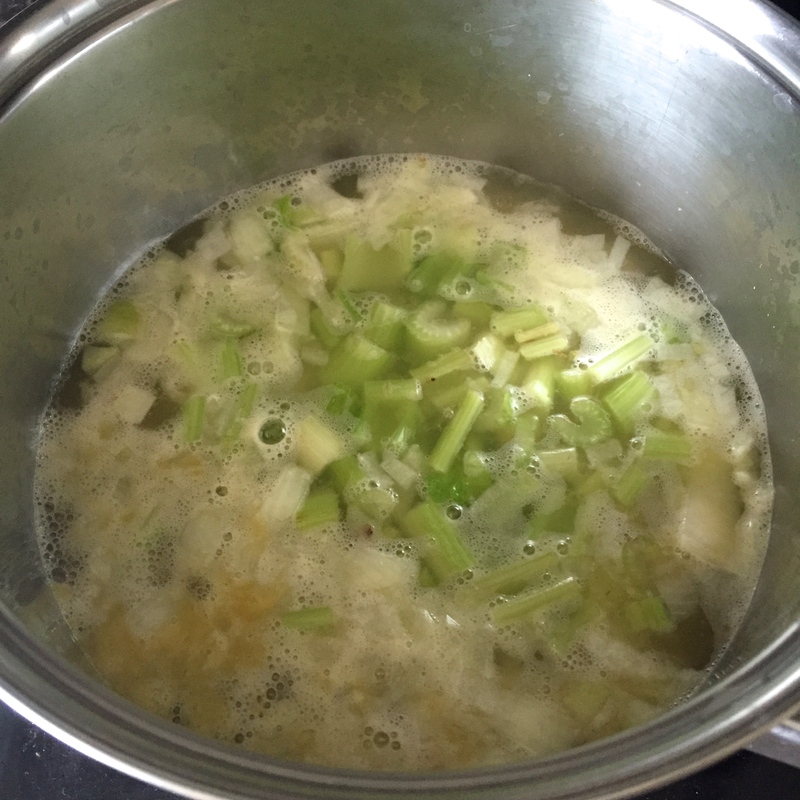 Simmer about ten minutes, stirring occasionally. 3. Add reserved cauliflower florets and cook another ten minutes, until they are tender but chewy (almost like clams). 4. Add coconut cream and soymilk. Add the nutritional yeast and chives. Heat gently without boiling.